E-cigarette, as a substitute for traditional cigarette, shares many similarities with traditional ones. However, what makes it popular is its capability of providing more functions than traditional cigarettes. The main raw material for traditional cigarette is tobacco. 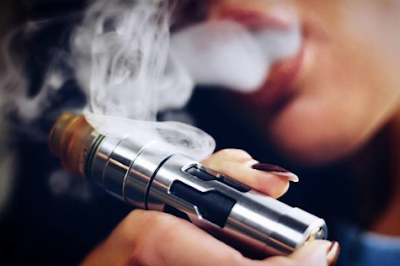 For E-cigarettes, except for ingredients extracted from tobacco, it also has edible flavor and fragrance which is extracted from plants, fruits or other edible materials. Thus, flavors of E-cigarettes is of various kinds. The general flavors includes cigarette flavors series, fruit flavors series, herbal flavors series, food flavors series and characteristic flavors series. Each series consist of different flavors. It's widely acknowledged that traditional cigarette contains tar, nicotine, carbon monoxide and over 3000 carcinogenic substances generated from burning. The only harmful content in e-cigarette liquid is purified nicotine, which will not do harm to our body if we only intake a limited amount. For flavors except for cigarette series, it doesn't contains any harmful contents and each ingredients should reach the standard level of food or medicine.Furthermore, what e-cigarette produces is steam instead of smoke dust. Thus It will not do harm to our lungs and other passive smokers. E-cigarette uses battery instead of fire lighter. And we only need to recharge the battery when used up. Larger battery capacity ensures longer staying hours. In addition, e-cigarette is not easy to be broken and it could be used for years if we could keep It in good maintenance. E-cigarette is different from traditional cigarettes in many aspect. Strictly speaking, it is a band new product instead of the substitute for traditional cigarettes.